One of San Antonio's most popular munis, Olmos Basin opened in the early 1960s and has thrived despite its flood-ravaged locale and sometimes questionable condition. 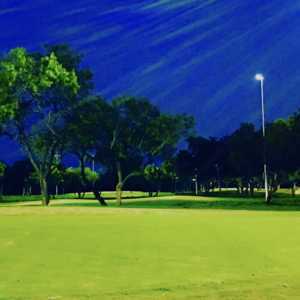 The city renovated the course in 1994, but conditions never became laudable until recent commitments from the city's senior-level management. Nevertheless, it's hard to stand up to some of San Antonio's spectacular tracks, and no matter what you say, you pay for what you get. 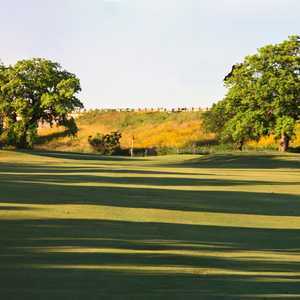 Olmos serves its purpose well, providing a challenging golf course for the right price. A quaint, old-school clubhouse and grill with tasty food enhance the experience. Watch out for crowds, especially on the weekends, as walk-up play sometimes requires up to a 2-hour wait. Getting there : From Highway 281 north, take the Basse Street exit and turn west. When you come to McCullough, turn right and look for the entrance on the right-hand side. This course is in such bad condition, it is shameful. There is litter everywhere, and I mean everywhere, even in the fairways. There are water areas that have an abundance of trash, I feel sorry for the ducks, and turtles. I don't know how they survive, how do they swim around all the shopping carts that are in the ponds. They need to hire someone to pick up the trash. This course needs to be closed so it can be cleaned up. It is not a golf course, it is a huge trash can, sad to say. We left after 6 holes.